Famous for her 1980s Guess? fashion campaign and for her cover shoots for the American versions of Elle and Vogue, this French model went on to appear in Sports Illustrated's 1993 swimsuit issue. Also an actress, she appeared in the 2007 French film Chrysalis and in two episodes of the television series Crossing Lines. She began her modeling career in her late teens after signing with the Paris-based agency Prestige Models. She performed the song "La Pomme" on the soundtrack of the 2009 French film Le Bal des Actrices. Her marriage to singer and songwriter David Hallyday lasted from 1989 until 2000 and produced daughters named Ilona and Emma. Following a brief second marriage to a Moroccan-born television host known by the stage name of Arthur, she welcomed a son named Giuliano with her restaurant owner boyfriend, Pascal. 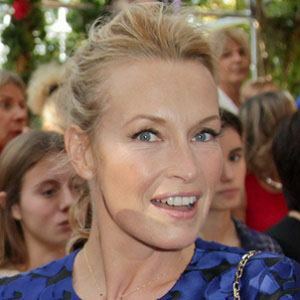 She made her cinematic debut opposite Carole Bouquet and Michel Blanc in the 1994 French comedy movie Grosse Fatigue.